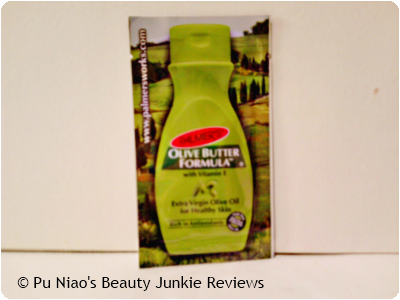 Palmer's Olive Butter Formula with Vitamin E: Palmer's Olive Butter Formula has the power to transform your skin. Extra Virgin Olive Oil takes care of your skin in three ways, namely unique lipid structure moisturizes instantly, loaded with antioxidants to keep skin youthful and emulsifies on contact for superior skin smoothing. As this creamy lotion penetrates, skin immediately feels soothed and softened. 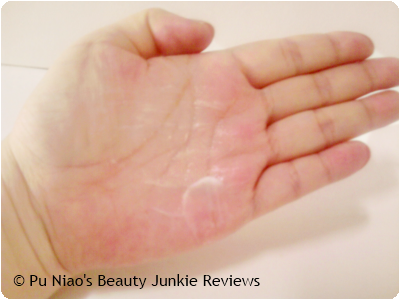 Absorbs quickly and leaves skin visibly improved. The scent is fragrant, and the product itself doesn't feel oily nor greasy upon contact and hours after application. 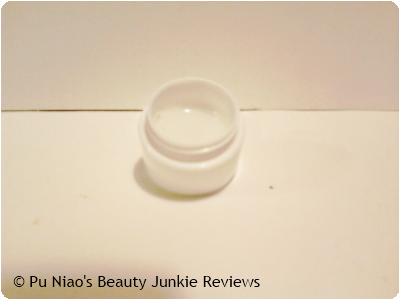 It's almost like it's instantly absorbed into the skin right upon application. VERDICT: The scent is actually pleasant and light, although I can't really pinpoint anything related to olive oil or olive in it. (I'm going to stick my limb out and blame it on the haze LOL) Plus the fact that because the scent is really lightweight, you don't feel nauseous upon sniffing or catching the scent unwittingly. As I've come across products that seemed so wonderful and the occasional wafting scent seemed so nice, until I decided to literally sniff the product itself and got "rewarded" in an awkward way. The product itself looks so creamy and wonderful and yet at the same time, it doesn't feel like it's too rich and creamy to be absorbed into the skin instantly. I love how it spreads so soft and gently on my skin as I was applying it onto my legs, and it doesn't feel as if I need to take forever to ensure that the product is fully absorbed into my skin. And despite hours after application, it doesn't feel as if there's a thick layer of something sitting on my skin, unsure of it's next course of action. And I am loving the fact that my skin looks hydrated immediately upon application, it's almost like my skin is instantly refreshed, hydrated and moisturized right on the spot. And like what I've mentioned above, despite hours application, my skin doesn't feel as if it's only hydrated and moisturized for the few hours the product has been applied on my skin. That wonderful feeling of hydration and moisturization actually stayed on my skin until my next shower regime. Making this a product that you should consider bringing out with you out of the house, to constantly keep your skin hydrated and moisturized and looking soft and dewy. It's even more important and crucial since Singapore has recently been "attacked" by the Indonesian haze. Just caring for the inside of your body isn't enough, as you need to focus on the outside of your body to keep it in tip top shape. In this way, you need not fear the haze. WHAT I THINK: Non greasy nor oily and skin instantly feels and looks hydrated and moisturized on the spot. 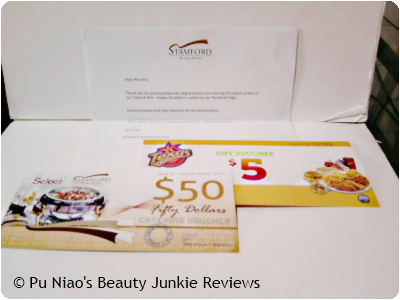 WHERE TO REDEEM SAMPLE: As I've redeemed this sample last year, around July/August period, so I cannot be sure if Palmer's Singapore rotate their samples or not. But, you can still go over to Palmer's Singapore Facebook page at https://www.facebook.com/palmerssingapore, Like their page. Next, look for the link that says FREE SAMPLES, click on it and fill in your particulars to have Palmer's samples mailed to your mailbox. 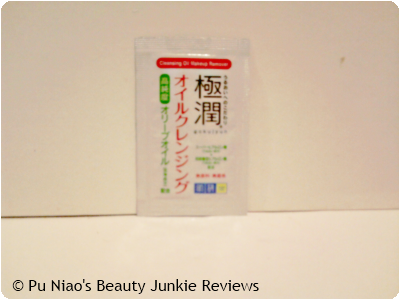 Kinohimitsu J'pan MindRelax Germinated Brown Rice Drink: Kinohimitsu J’pan MindRelax Drink is a delicious functional drink infused with all-natural ingredients and Germinated Brown Rice Extract (GABA). It promotes natural sleep rhythm while boosting general health. VERDICT: What I like about this product is that, despite the product packaging claiming that it contains germinated brown rice extract, the taste isn't very bad. In fact, it's deliciously sweet and yummy, especially for picky tastebuds like mine. I don't feel like I have to drink this in order to promote natural sleep rhythmn at night, although I did found myself accidentally drinking half a bottle away prior to leaving my house to go to work. But luckily, I didn't quite doze off at work. I simply went into "Mind Relax Overdrive" mode in the midst of work a.k.a zone out a little every now and then. As long as I didn't smile to myself without warning, it should be okay, I guess..
As I tend to have trouble falling asleep, unlike lucky ones who instantly konked out as soon as their head hits the pillow. And most nights, I tend to toss and turn much more than a baby does, and frequently, I am staring up at the ceiling in the middle of the night when the whole world is asleep. And personally, I avoid taking sleeping pills, as sleeping pills will make you dependent on it after you are used to consuming them before going to bed. Plus the fact that I do not want to end up waking up in the morning feeling like I seemed to have "lost" the time during sleeping despite being asleep. Yeah, I'm actually a troublesome sleeper through and through, but it's better than muttering "weh~ Weh~" in the dead of the night. WHAT I THINK: It doesn't make you feel really dependent on it. In fact, if you have certain nights when you know you are so tired you can instantly fall asleep instantly as soon as you climb onto your bed, then you need not have to take this at all. 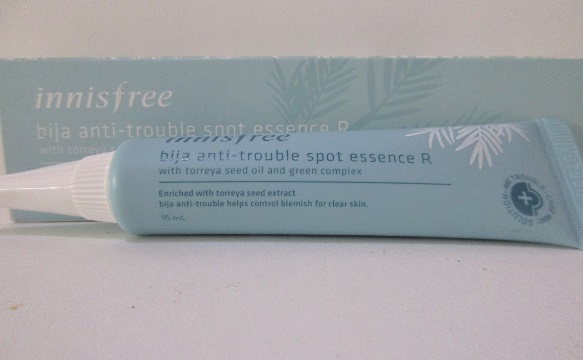 WHERE TO REDEEM SAMPLE: I got this after my letter was featured in Guardian's Feeling magazine in the October issue. So far, I've not seen anywhere to redeem to try, but it actually does work for me though. So, I would gladly recommend this if you are trying to look for something to help with sleeping, although do note that effects and results vary on different individuals. This is definitely an awesome week, since I unexpectedly found out I was one of the lucky winners for Crabtree & Evelyn's Facebook app for My Somerset Meadows contest. Besides, I only got 15 votes while there were some entries from honest non-cheating players who managed to secure close to 50 votes. So, it's a surprise my 15 votes entry was one of the winners too. To those of you who know you played fair and square in asking for friends to votes, instead of creating more fake Facebook accounts to self-vote, give yourself a pat on the back and a hug cos you truly deserved the win. And for a particular person who thinks we do not know you are joining in the pretext of using your various fake Facebook accounts to self-vote, shame on you for thinking you can get away with cheating without anyone finding out. You should fall into a ditch and stay there, I don't care whether you are alive or not. But your cheating behavior will only strive to make us truth and honest contest participants stand up against you by reporting you en masse. So, I heard about this contest by Crabtree & Evelyn and initially I didn't plan on joining, since I am guessing that the regular contest cheat on Facebook will probably strike. But since there seemed to be no sign of her, I thought it was safe. But barely a few days later after I uploaded my entry, I saw the contest cheat entry. And guess what? Within a day of uploading her own entry, she suddenly gotten exactly 50 votes while most of us who joined a week or so earlier were not even close to getting 30 votes. It's rather obvious she cheated, isn't it? And unluckily for the cheat, I was stalking this app everyday to check and see if I can vote for my friends everyday. And that is how I know that contest cheat got 50 votes within a day of submitting her entry. Needless to say, that was the day I kicked off lots of friends on my personal account whom I suspected of having fake Facebook accounts. I won't name any names, but you know who you are. And along the way, quite a lot of us were also just as upset that this particular contest cheat dare to show up and carry on with her fake voting. So, we simply send PMs to Crabtree & Evelyn in bulk and demand her entry to be removed. If they need proof or evidence of her "cheats", we can definitely provide it. WHERE TO REDEEM SAMPLE: This contest is over. But on a side note, I really urge honest contest participants like my friends to really keep a lookout for that particular contest cheat we all are aware of. In the event she joined anymore of such contests where the rule is to get your friends to vote, make some noise about her entry and asking everyone you know who is joining said contest to PM the organizers and companies to remove her entry as her entry is never honest and neither are her votes. Making more Facebook accounts to vote for oneself it just plain pathetic, no matter how you look at it. Where's the fun and joy in joining and winning something with underhand means and methods? And a bottle of "Lady's Perfume" that smells a little too "funky" for my liking. Ack.. The perfume is a La Chiz EDP at 80ml. 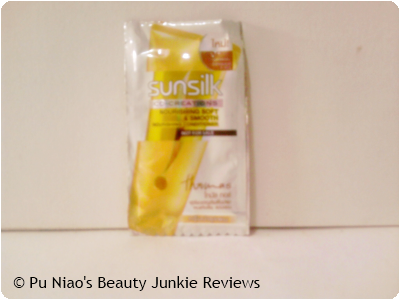 I doubt anyone would want it as a giveaway, since the scent is just plain "ack" for my own personal liking..
Sunsilk Co-Creations Nourishing Conditioner: Treat your hair with this Sunsilk Co-Creations Nourishing Conditioner to get beautiful moisturized hair. Created using Ceramide Egg Complex, it cleanses and conditions even the driest and roughest of hair while acting as a softening agent to re-balance hair condition while creating an outer protection layer to seal in moisture. VERDICT: The scent of the conditioner is just the same as the shampoo itself, pleasant but not bordering on nauseousness at all. That I am grateful for, as it's rather hard to find a shampoo that not only does the job but also smell nice at the same time, and the same can also be said for conditioners as well. The scent lingers on faintly on the hair after washing it off, but not to the point it's wafting repeatedly. Just a slight scent here and there when there's a breeze. The conditioner works pretty decently on my hair, it doesn't feel oily nor greasy upon application and after washing off. Just by touching with the palm of my hand, my hair did feel smooth whether it's wet or dry, however, it's a totally different story when I tried to comb out my hair. It just made my hair looks smooth, but tangles remain in my hair and it definitely takes some patience and effort to comb out the tangles without losing more hair in return. 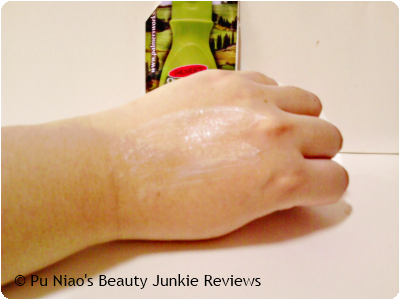 Although the saving grace is the fact that it rinses/washes off pretty well and without any fuss at all. And I don't need to have repeat rinsing to get the conditioner out of my hair, instead just a good rinse 2 times is more than enough to do the trick. And I actually avoid applying hair oil of any type to my hair, just to be sure the conditioner is working as it should. But unfortunately, it fails spectacularly in my humble opinion. You can say it's been some time I saw that much hair loss from a shampoo regime. Let's just say, the claims on the packaging falls short on the delivery part. Not sure if the commercial is really real or not, but what I see in the commercial, it just didn't work for my hair. And I can find much better hair products that doesn't over-promise but yet can do a fairly decent job of smoothing out the tangles in my hair without having me to go through a hair loss cycle in return. WHERE TO REDEEM SAMPLE: Sampling activity is over for now, although I am part glad it is. As this means that most of you who might have the same hair problems and issues as me can avoid having tangled hair. Sunsilk Co-Creations Nourishing Soft & Smooth Shampoo: Due the harsh sun the hair is stripped off its essential oils, leaving it dry. 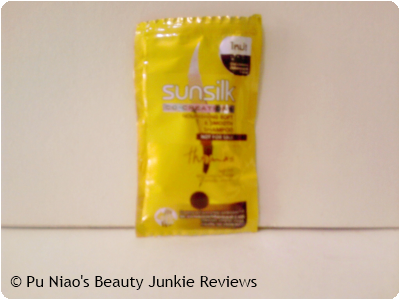 Sunsilk Dream Soft & Smooth shampoo is the best shampoo for dry hair. It is enriched with Egg Ceramide Complex, which cleanses your hair and conditions even the driest hair leaving it soft & smooth. 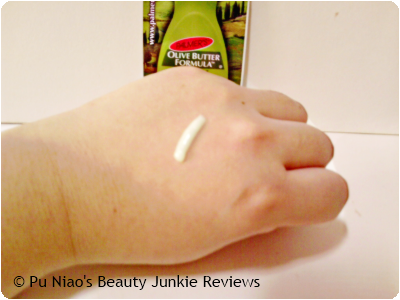 Despite promising and claiming to be nourishing, soft and smooth, it's anything but that. VERDICT: The scent of the shampoo is actually rather pleasant and doesn't make you want to gag and choke. And the scent lingers faintly on your hair after shampooing and washing off, even hours later. But personally, I think that is pretty much where the good point of this conditioner ends despite seemingly looking so promising. What with the commercials we saw on television previously. The shampoo itself suds up pretty decently and without effort at all, making it easy to shampoo into my ever angsty and problematic hair. And I haven't even mentioned how hard it is sometimes to massage shampoo suds into my wet hair during shower, which always ultimately results in a little unwanted and unneeded hairfall. Therefore, I find it a pleasant surprise that the suds manages to get into my hair without having to see strands of hair being "plucked" off without warning. 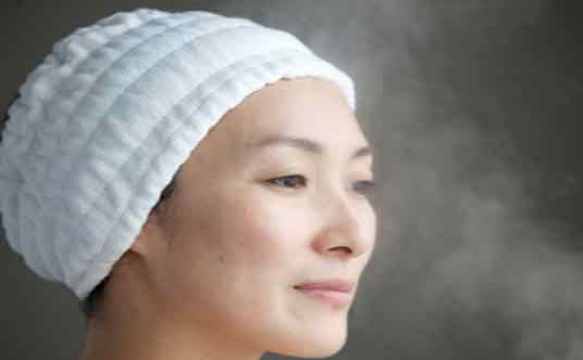 And similarly, it is just as easy and fuss-free to wash it off my hair when my hair-shampooing-masaging regime is over. It doesn't feel like I need to stand under the showerhead forever just to get the shampoo out of my hair and scalp either. However, just under an hour after stepping out of the shower, I find the ends of my hair tangled up. And mind you, I've recently chopped off my hair. Therefore, it shouldn't tangle my hair that much at all, considering the fact that I've chopped off the dry, tangled and split ends. But, my hair just remains tangled and I didn't even recall piling my hair onto the top of my head during showering at all either. And when my hair is totally dry, the tangled parts still remain tangled. And I even purposely avoid applying hair oil of any type just to be extra sure of the tangling issue at hand. But nope, my hair still remains tangled and it really does take an effort to comb out the tangles without contributing to more unwanted and unexpected hairfall. The only parts of my hair that remains tangle-free are probably the hair from the roots near my scalp. Are you like me, always constantly collecting membership cards? Especially the ones that promises lifetime membership? I can't really exactly remember when I became so obsessed with collecting membership cards, but what I do know is that, certain cards really can help you to get rewards, discounts and perks in Singapore. I'm sure most of us are aware that living standards in Singapore has significantly increased, and going out to town for some casual relax time with friends and acquaintances is going to become costly. Even if it's just out for a movie with friends you haven't been in contact with for a long long time. And this is the exact moment when you felt that you should have get this or that card so you can save a little more on your expenses. Just in Singapore, there's a plethora of membership cards around. 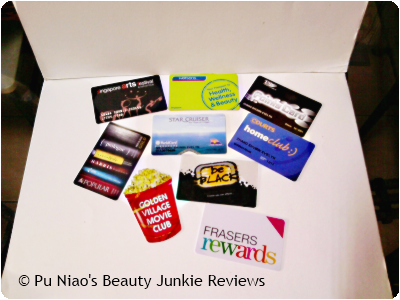 Some card can be used across a few different places for discounts, while some can only be used for a single brand or company products. Personally for me, I prefer those that are either free, or just need to spend a certain amount of money on purchases (preferably under S$100 worth of spending) and you can get a lifetime membership card for life. Just last week, I went over to Choa Chu Kang's Lot 1 Shoppers Mall with the intention of getting 2 new ear piercings. And I ended up with 0 ear piercings, roughly S$69 poorer and a new bag to boot. And upon payment of my new bag, I got myself a free membership card that I can use for life. Is it a blessing in disguise or some sort, I don't really know or can explain. Since I don't buy myself a new bag once a month, I know I am definitely going to be using that lifetime membership card maybe only once a year or every few years instead. It's not like I really need a new bag of some sort, but then, the salesperson told me that the bag is water-proof and I always find myself stuck in the rain whether I like it or not. Plus the fact that previously when I got for prospective interviews, I can perform pretty decently at the interviews. But always failed to get the job cos there's a huge tear on my previous bag I was using. And somehow, I felt I was penalised just because I couldn't find a bag that actually suits my needs at that time. Singapore ArtsFest Club: I don't remember how I sign up for this card, but bottom line is, I have no art cells and I thought a membership card for this would increase my appreciation for the arts. But sadly, no arts related festival appealed to me so far. Membership can be obtained physically at any MiniToons outlet through a minimum amount purchase. It's a lifetime membership card. Membership can be obtained at https://www.frasersrewards.com/faq.htm. Signup is for free and the membership will be valid as long as the Frasers Rewards loyalty programme is in operation. Metro Singapore Facebook page previously had a Unwrap Metro app in lieu of their 56th anniversary. 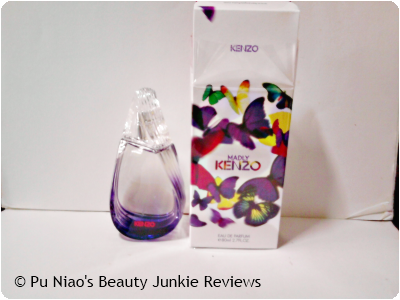 I really wanted a eletric rice cooker or something similar, but instead, got a Madly Kenzo EDP instead. 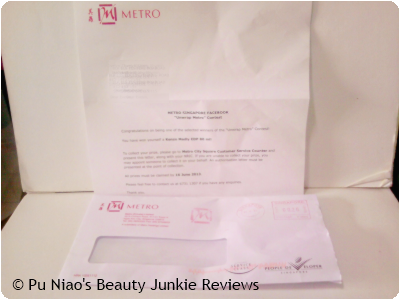 Anyway, I totally forgot about them until I received this letter from Metro Singapore in my mailbox. So, a little hunting around on the Internet informed me that the nearest train station to collect my prize would be Farrer Park MRT Station. (My father claimed that I should take bus #67, endure a long and mind-numbling journey to god knows where before I jump off the bus. But I reckon I won't even know where I am by the time I realized I need to get off the bus..) Luckily, I can get to City Square Mall underground, instead of having to get out of the train station and walk through the sweltering heat instead. Hada Labo Super Hyaluronic Acid Moisturizing Cleansing Oil: Formulated with High Purity Olive Oil to instantly remove heavy makeup and water-proof mascara, gentle to your delicate eyes & eyelashes. Deeply cleanses to gently remove dirt and excess oil while enhanced with Super Hyaluronic Acid to intensely hydrate and maintain skin's moisture balance leaving skin feeling smooth & soft. Water-soluble and does not leave unpleasant greasy feeling and yet free of fragrance, mineral oil, alcohol and colorant. 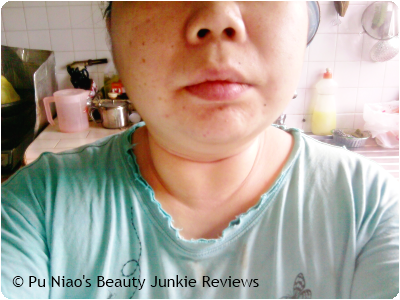 Here's how the cleansing oil looks like on my skin. 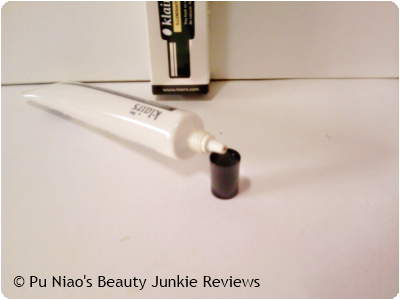 It actually "melts" off my water-proof eyeliner very easily when gently rubbed into my skin. And not a speck of eyeliner left on my skin after gentle rubbing of the cleansing oil into my skin. VERDICT: I personally love the scent of this Hada Labo SHA Moisturizing Cleansing Oil as it is a really gentle and nice scent that doesn't make you feel nauseous, especially since it's meant for removing traces of make-up on your face. 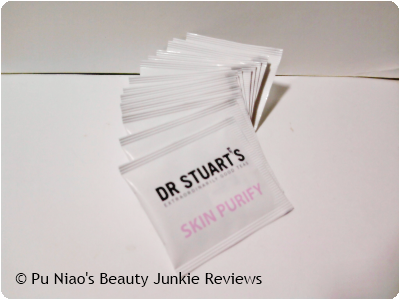 Back during my younger school days, I was really put off with applying cosmetics on my face as I've personally tried to look for makeup removers that doesn't smell too strong, unusual or awkward to the point where I felt this slight headache-like pain as soon as I sniff the product itself. So, I am glad that Hada Labo's version actually smells really light and gentle to the nose. Despite the product packaging claiming that it contains High Purity Olive Oil, I personally found that the texture of the product itself is just a really really light clear yellowish color. It almost looks like those beautifying or skin oil that you can apply on your skin. 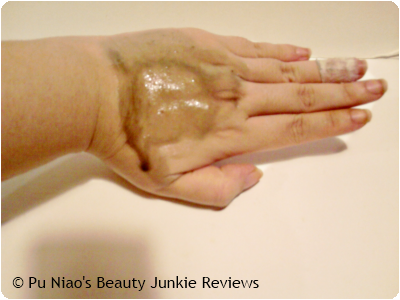 It felt really smooth when I applied it to my skin, making massaging it into the makeup on my skin much more easier and gentler to remove than usual, you can almost liken to using a regular facial cleanser on your face. And it doesn't even feel oily nor greasy as well, despite the presence of olive oil in the product itself. Normally, I avoid applying sunscreen on my face for as much as possible as initial application leaves my face feeling as if I've purposely applied something onto it, before slowly fading away. And when it's time to wash my face, I found that my face feel like there's some sort of leftover residue left behind, despite cleansing my face properly at the end of the day. But when I used this Hada Labo SHA Moisturizing Cleansing Oil, it actually leaves my skin feeling cleansed, and yet not overly squeaky clean to the point where the natural moisture on my face has been stripped off too. And even hours after using this to remove makeup and/or sunscreen, my face doesn't feel too overly oily nor greasy at all, it feels almost like I've only used my regular facial cleanser to cleanse my face. And because the consistency of this Hada Labo SHA Moisturizing Cleansing Oil is more towards watery and runny instead of oily and thick, it definitely makes facial cleansing fuss free, hassle free and pain free to the max. WHAT I THINK: Soft gentle scent, texture and consistency makes using this feels like I'm actually massaging my face/skin free of makeup and sunscreen. Each tea bag comes in it's own individual little sachet sealed envelope to ensure freshness of the tea itself when you want to drink it. VERDICT: I previously had a bad case of PMS and bad menstrual cramps that last for close to a full week or until my menses finally stopped it's cycle. And after a bout of emo'ing on my Facebook wall, a sweet friend (Thank you Umy) recommended a tea from Holland & Barrett's to help soothe the pain and cramps. But as it was close to ending, I thought I would just stock up once I can go about freely without having to feel obstructed by the pain. 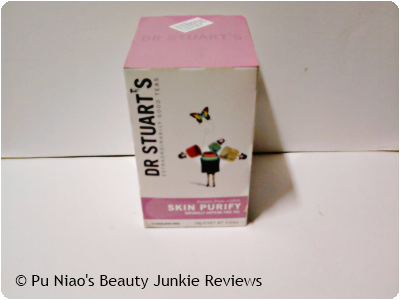 And along the way, this sweet Indian lady working at the Bukit Panjang Plaza's Holland & Barrett outlet recommended this Dr Stuart's Skin Purify Tea while I was checking out the Raspberry Leaf tea that Umy recommended to me. 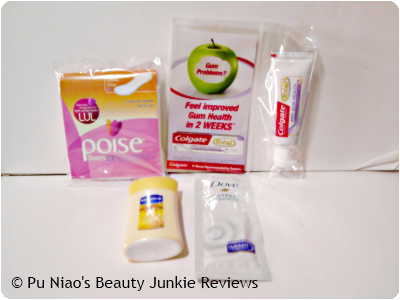 And I personally have to stress that sometimes, just using the right facial products for your skin types on top of using facial masks a few times a week might not necessarily be enough to maintain our skin's natural balance at all. I still suffered from pimples and acne woes every once in a long while, and since I felt that I have nothing to lose with trying out this tea, I just decided to buy it on a whim and give it a try for a good half a month to see if it's worth buying on a long-term and permanent basis for my skin woes. 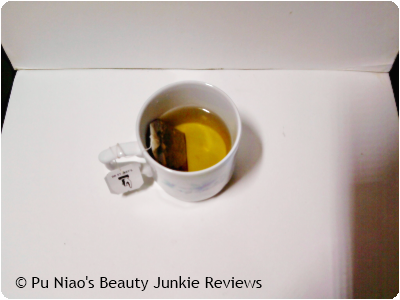 Prior to trying this tea, I do have breakouts every once in a while. I'm sure regular readers would have been aware of my pimples and acne woes, where those pesky little dots either stays on my face for up to a week, undecided whether it should just settle and go off or take it's own sweet time to ripen up and fade off. If not, it ripens at a decent rate and ended up leaving blemish and acne scars that take ages to fade away to oblivion. But after trying out this tea, I am definitely happy to say that I am seeing less pimple and acne woes showing up on my face. Now, it's just the regular oily T-zone/combination skin issues that is plaguing my skin, and I am already thankful for it. And I also have to mention that I dump in a tea bag into my bottle which I bring to work and when the water is running low, I just topped up more warm water to further steep the tea bag. Which means I roughly drink up to more than slightly 4 or 5 cups of this tea per day on a daily basis. And I can definitely attest that it really does help with my skin problems. Initially, I was a little hesitant on whether it would work, but I am definitely seeing a better change to my skin now that I finally take the plunge in trying out this tea. In short, I am hooked on the tea series from Holland & Barrett itself, and I actually went back to purchase more variety of tea bags from them now. 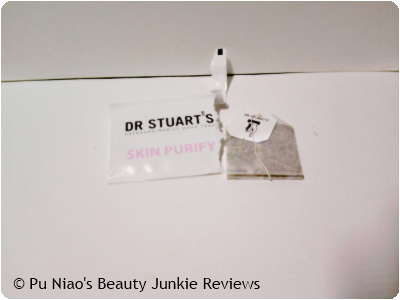 WHAT I THINK: I am definitely a believer of this Dr Stuart's Skin Purify Tea now!! WHERE TO REDEEM SAMPLE: Despite there being a Facebook page for Holland & Barrett Singapore, there's no sample activity going on. But then, their teas are really affordable, so I think it's worth it to buy a box to try and see if it works for you. If not, you can pass it to the next person who might benefit from it. As it's in teabag form, I doubt there's no chance of any germs or bacteria issue, as compared to facial products. Note that all views presented here are of my own and whether the product is sponsored or not, it's honest throughout. Only that effects will vary on the individual when applied. Dear, Klairs Illuminating Supple Blemish Cream SPF40 PA+++: Dear Klairs Illuminating Supple Blemish Cream gives your skin whitening and wrinkle improvement effect for silky smooth skin while safely protecting skin from UV rays A and B with strong sun protection function and natural skin tone also. 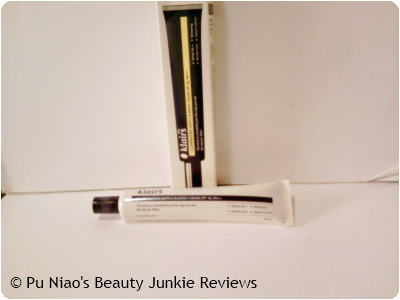 For intensive sun block and blemish balm, whitening, wrinkle care and sebum control. 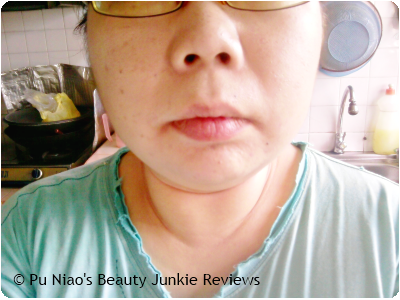 This is my face/skin BEFORE applying Dear, Klairs Illuminating Supple Blemish Cream. This is how I apply Dear, Klairs Illuminating Supple Blemish Cream by applying a decent dot on both my cheeks, nose and chin and I blend it in with gentle patting and dabbing motion. VERDICT: The scent of this Dear, Klairs Illuminating Supple Blemish Cream is actually close to powdery to me. A subtle hint of powder hits my nose, but in a really comfortable kind of way instead of the "smokey white puff of powder cloud" type. And luckily, the color of the BB Cream is actually quite close to the skin tone around my neck, so I personally don't find it too much of a hassle to blend it onto my face while having to worry about different shades of color between my face and my neck. And trust me, I've tried and tested quite a decent amount of BB Creams and CC Creams and while they looked promising, they ended up making the skin on my face looks just a notch paler, while my neck looks regular healthy. In other words, I look almost like a Frankenstein without meaning to, all thanks to BB Creams and CC Creams that promises to blend with all skin types, but did not really do so at all. It is really a hassle to have to continuously try and test so many BB and/or CC Cream in order to find that ultimate one that works just perfectly well for you. As I tend to work in a somewhat cool working environment where I do not need to physically exert myself too much, only except the "talking part", I find that this Dear, Klairs Illuminating Supple Blemish Cream does not make my skin looks over-the-top glowy. I do know that it's a must for glowy-like skin after appication of cosmetics, but most times, the so-called "glowy" skin I've seen on the Internet or on the streets tend to go towards the "oily-glowy" look instead of the "healthy-glowy" or "happy glowy" kind of look, which I personally think is not good. I mean, what good is it if a cosmetic product made your skin looks "oily glowy" in a cool and comfortable working environment? Therefore, I am personally glad that even after hours after applying this Dear, Klairs Illuminating Supple Blemish Cream, my skin doesn't look like the "oily glowy" variety. Instead, there's this "happy glowy" and "healthy glowy" type of feeling and sensation I see on my face. Just a small little glow around my cheeks to compensate for my oily T-zone and combination skin type. As I previously was using another BB cream before having a chance to try this BB Cream from WishTrend, I found that my face looks uber "oily glowy" a few hours after application and I am definitely not liking it at all. But not for this Dear, Klairs Illuminating Supple Blemish Cream. In short, the "sebum control" that this Dear, Klairs Illuminating Supple Blemish Cream works pretty well for me. I wouldn't say this Dear, Klairs Illuminating Supple Blemish Cream have a really whitening effect to the point where the color on my face clash with the color on my neck area. Instead, it helps to whitened up the red areas on my skin and at the same time tone down my old blemish and acne scars so it doesn't look too visible from the naked eye. And I only touched up a little on my forehead and nose area during my breaktime, midway through work. 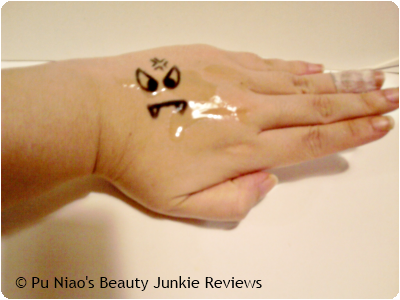 And mind you, it's really a small dot type of touch-up, not the entire face huge blob of BB Cream type of touch-up. As for the wrinkle care, I am just glad I don't see any visible wrinkle(s) on my skin, so this is a problem I will not touch on. And since I am working indoors and also bring my own food to work, I need not have to go out of my working place for food during break time, hence, the SPF part doesn't apply to me too much either. And the best part? My skin and pores doesn't feel like there's a layer of something that makes me feel irritated. Another important aspect of applying BB Cream to my face/skin is that, I do not like the feeling that there's a layer of something on my skin every now and then. It should blend easily and fuss free into my skin without making me feel like I've applied makeup of any type at all. And Dear, Klairs Illuminating Supple Blemish Cream actually does this. 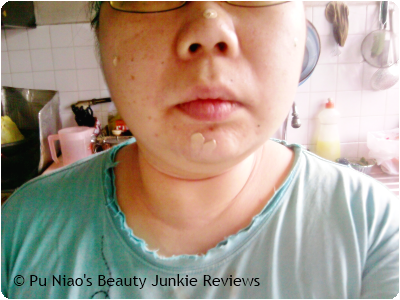 WHAT I THINK: Of the BB and CC Creams I've tried and tested, this is a product that I am loving with each use. It covers up the redness on my skin easily and at the same time, tones down my old blemish and acne scars without too much fuss nor effort. 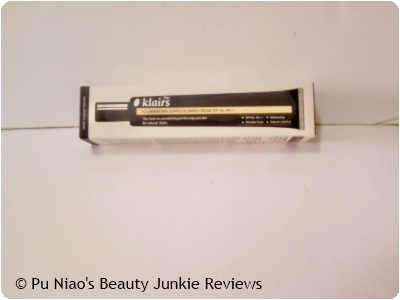 WHERE TO REDEEM SAMPLE: Dear, Klairs Illuminating Supple Blemish Cream can be bought from WishTrend for the afforable price of USD18.50 as they are currently having a 20% discount on this item itself. And I think this price is almost close to a steal as compared to most BB and CC Creams I've tried but doesn't quite deliver. And on top of that, from now until the end of 2013, use Voucher Code RFXLSCOZ during checkout to get USD$3.00 discount on your purchases. Can be used with other vouchers too. However, note that you need to spend at least a minimum amount of just slightly over USD$20.00 to utilize this voucher.